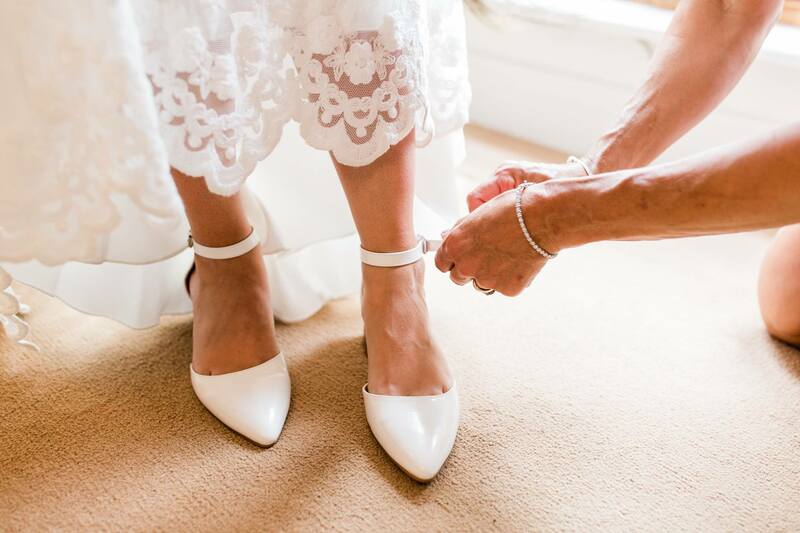 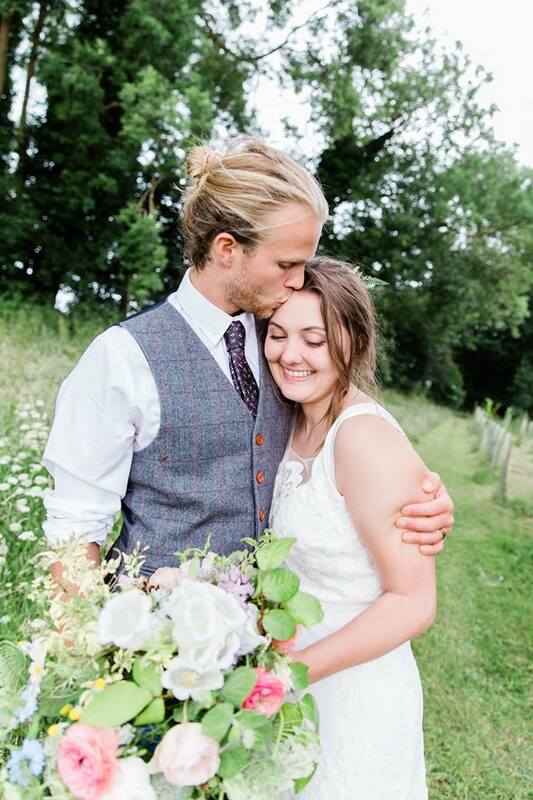 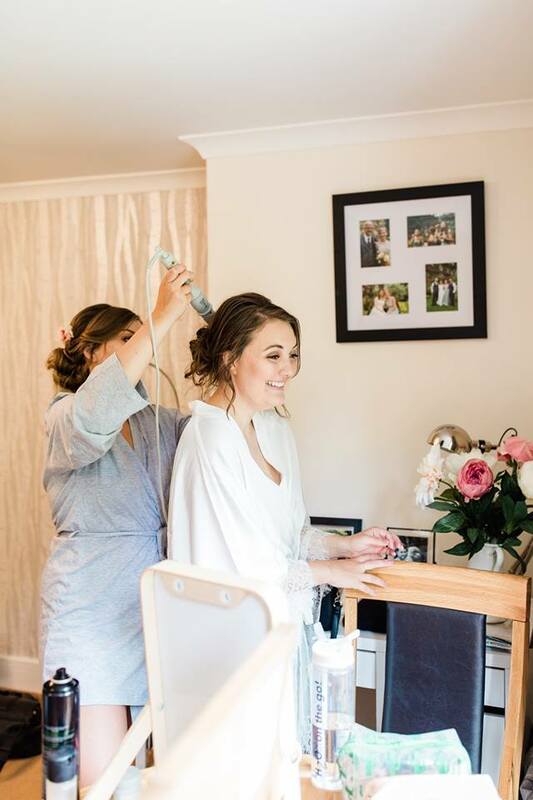 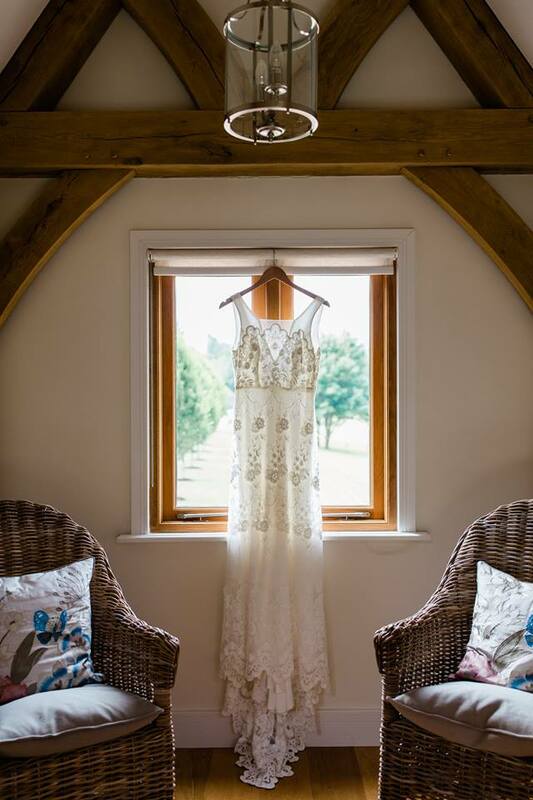 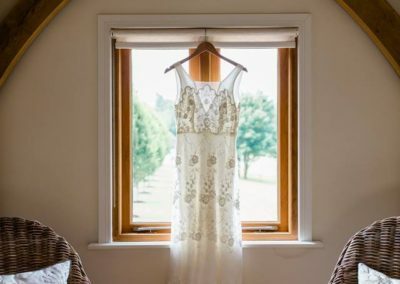 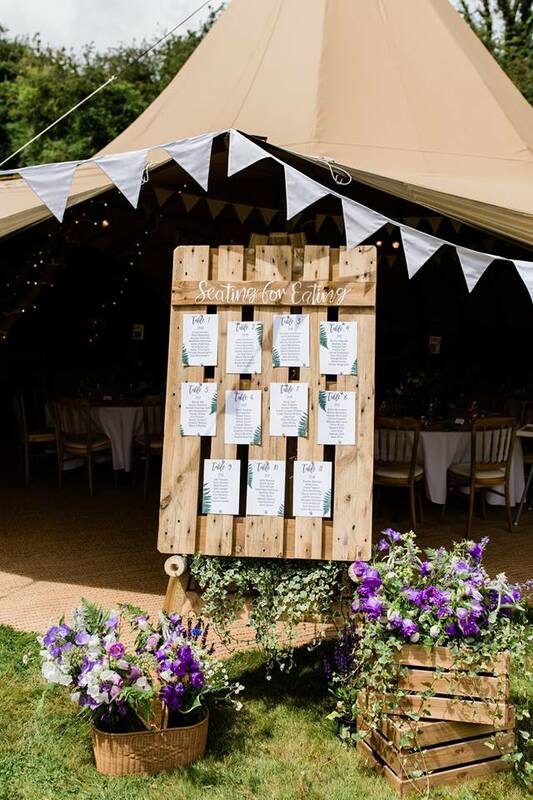 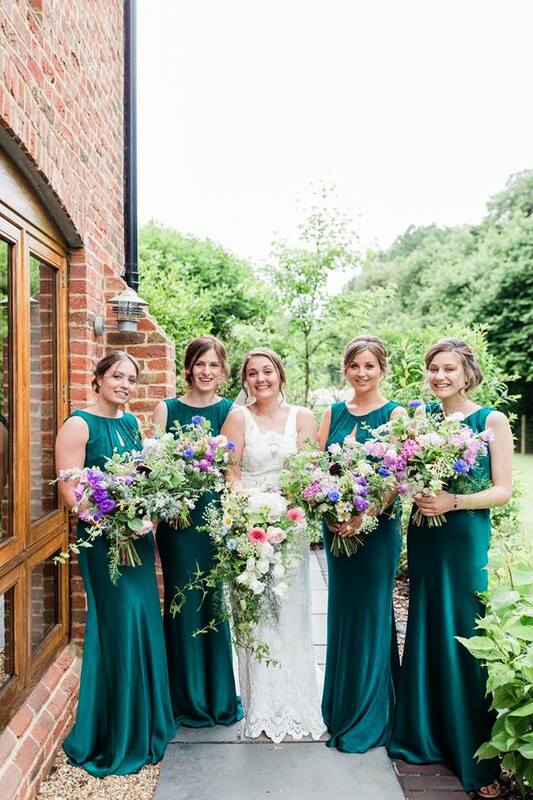 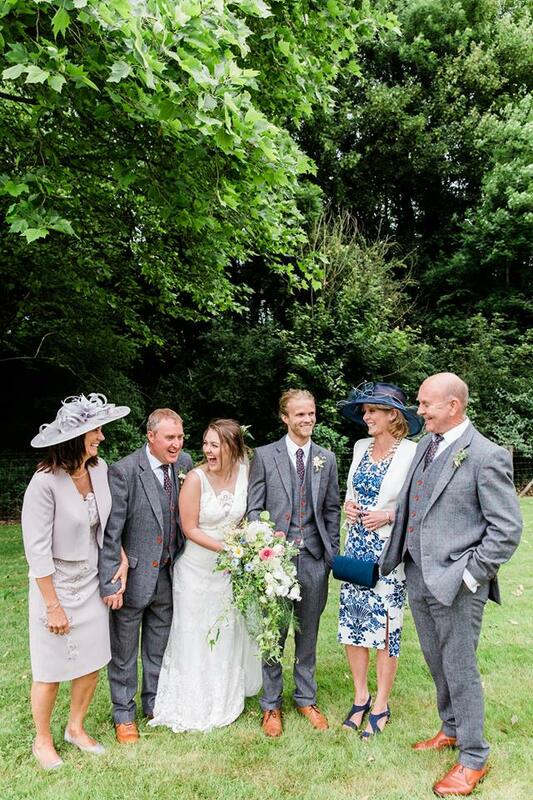 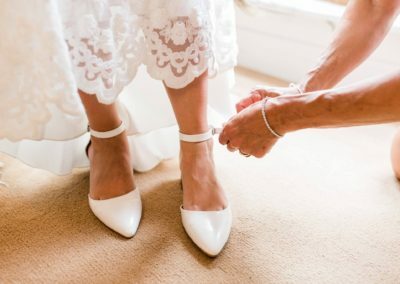 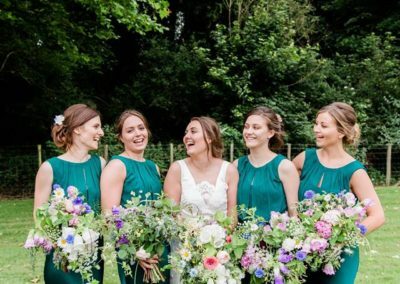 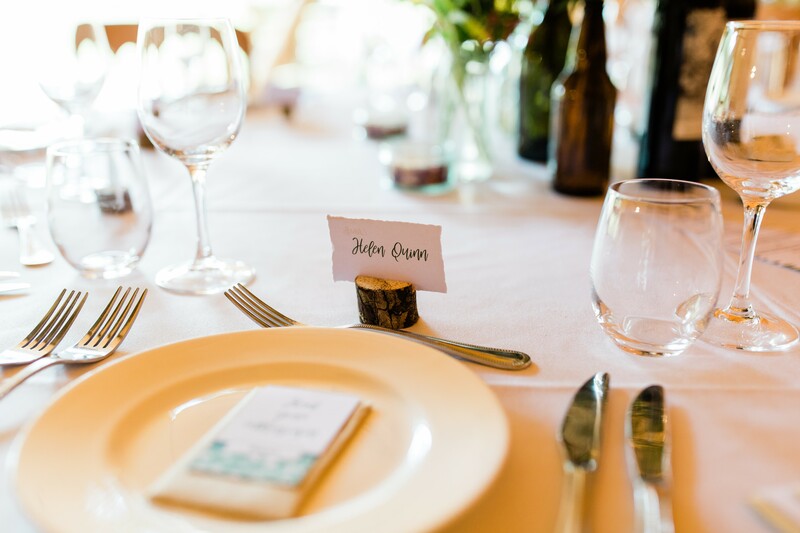 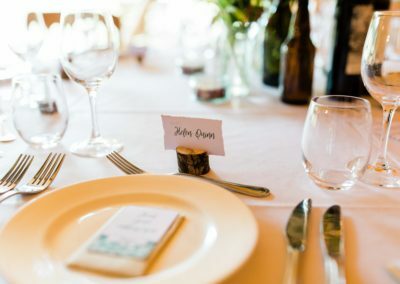 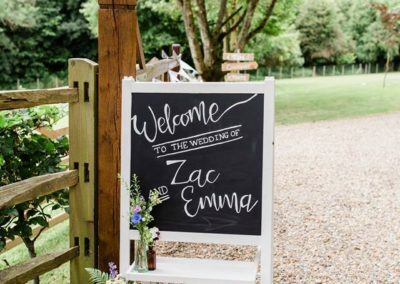 Emma and Zac’s wedding day was just wonderful and filled with so many personal touches. 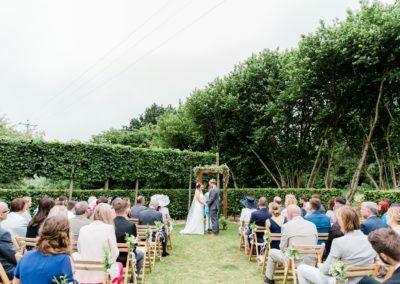 Holding the day in Emma’s parents back garden, they made and collected all of the decor, using wine bottles to display floral arrangements made by the bridal party. 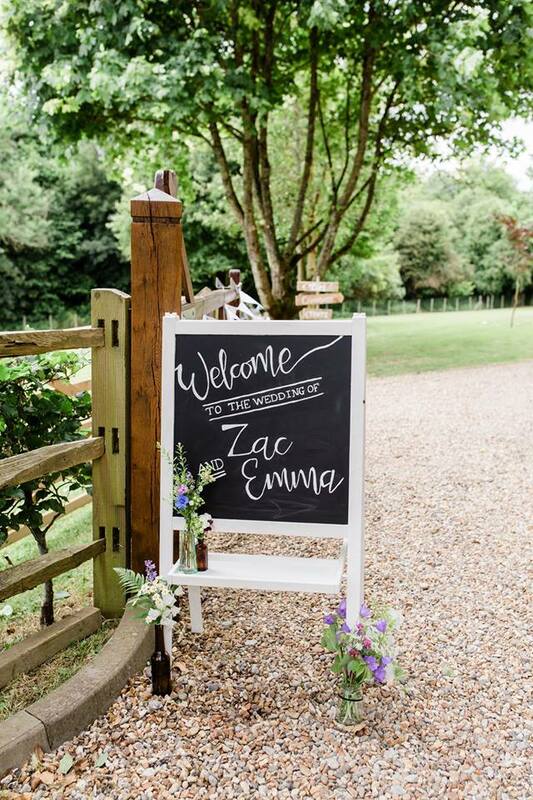 Emma’s flowers even featured carrot tops as a nod to where she and Zac work. 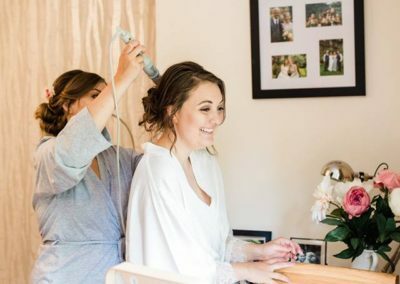 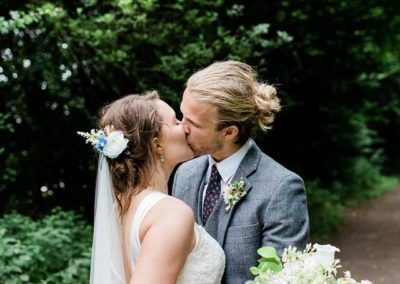 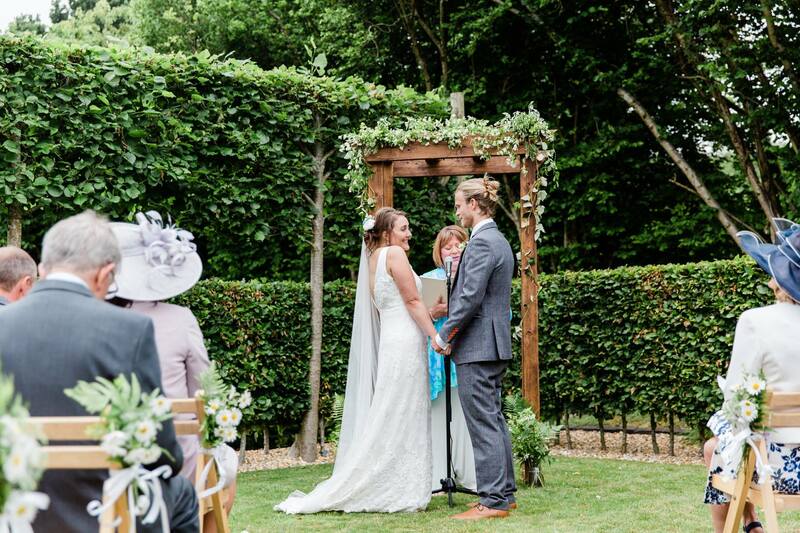 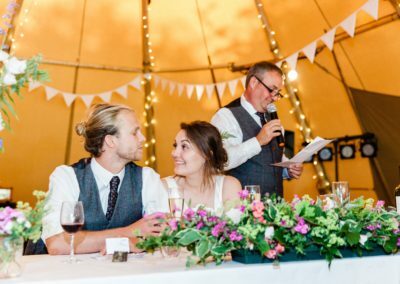 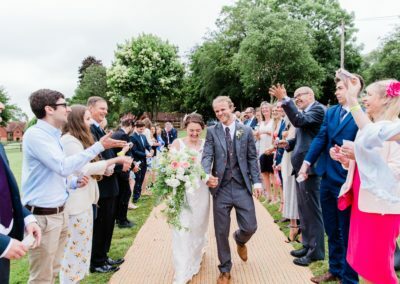 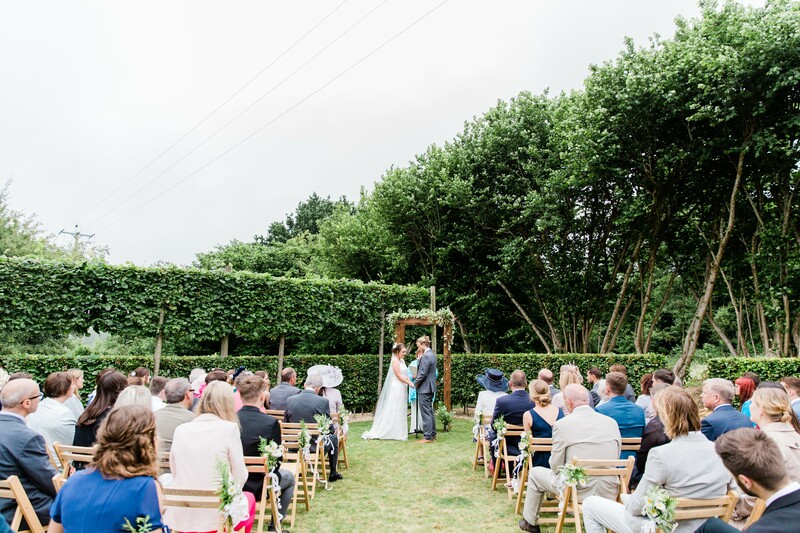 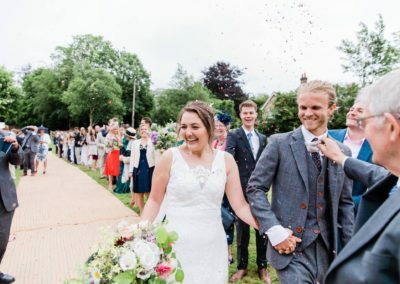 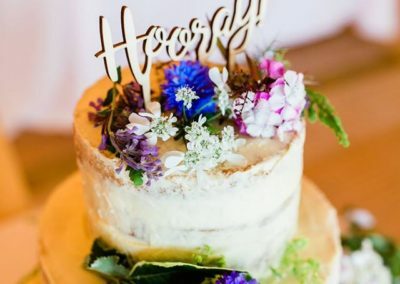 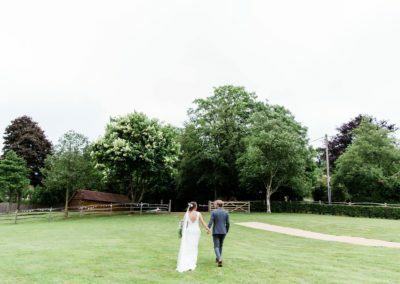 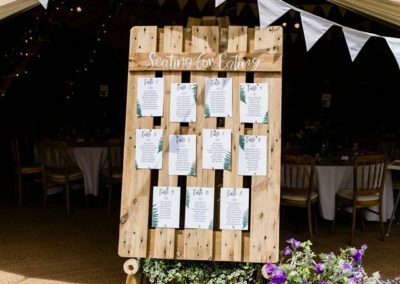 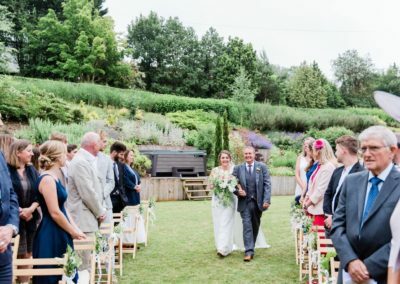 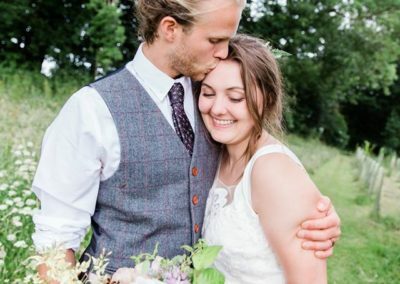 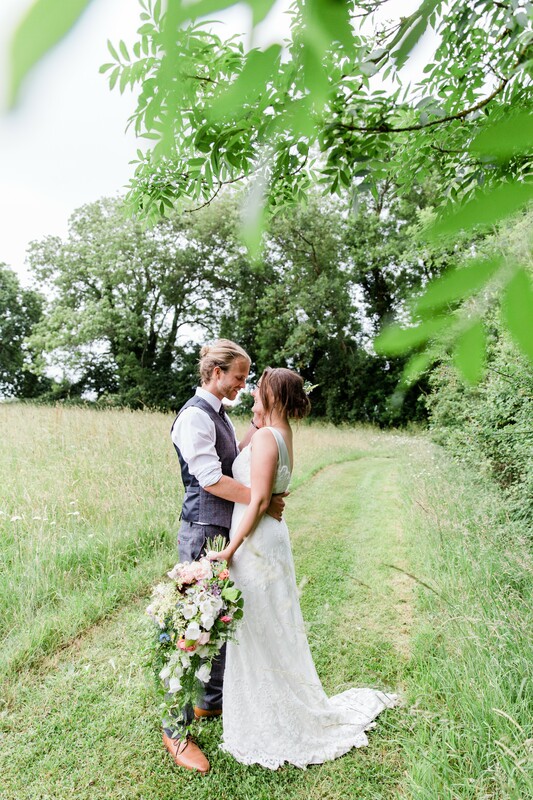 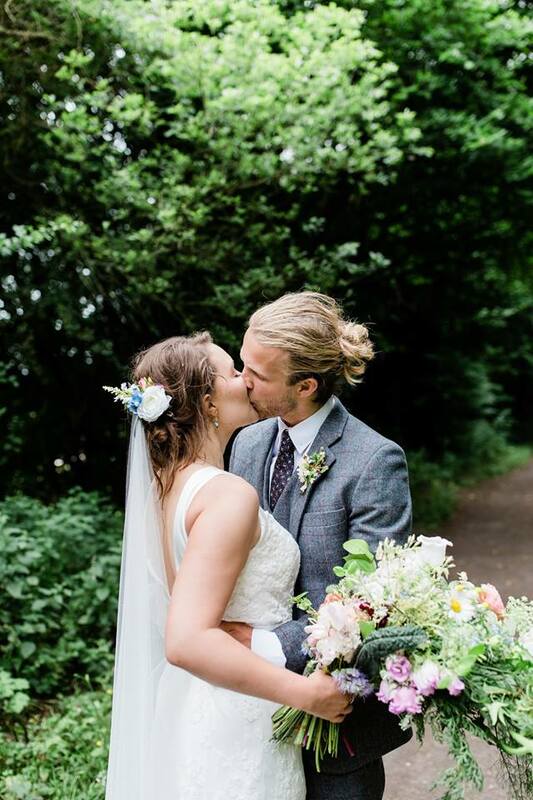 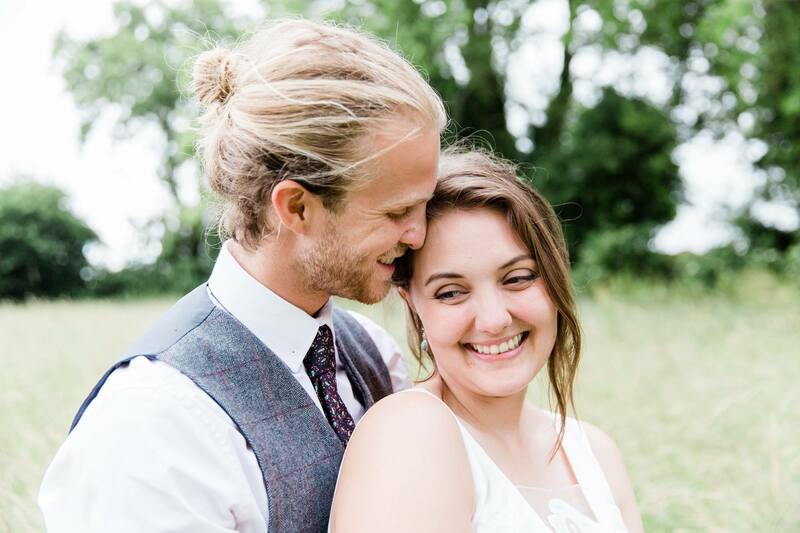 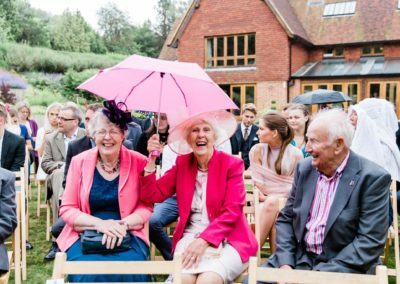 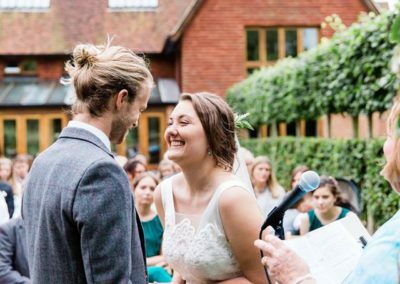 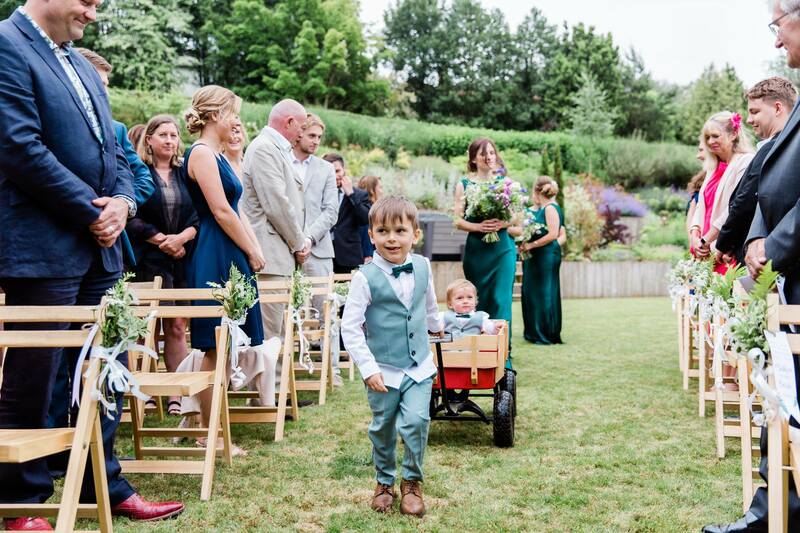 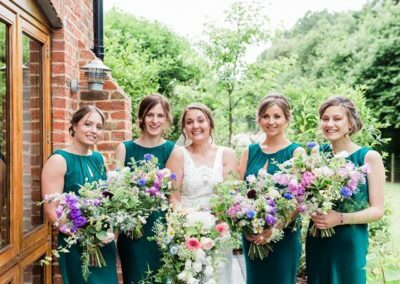 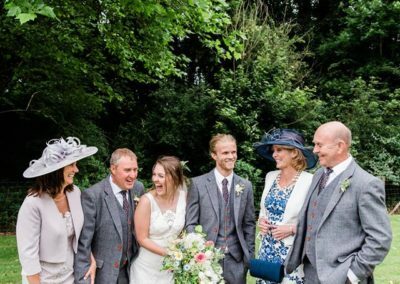 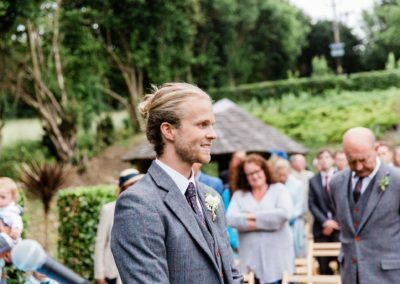 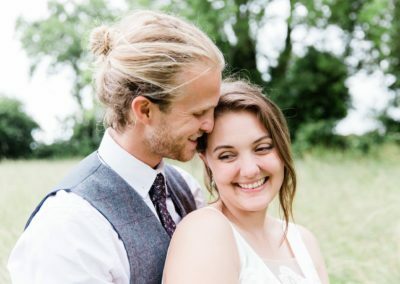 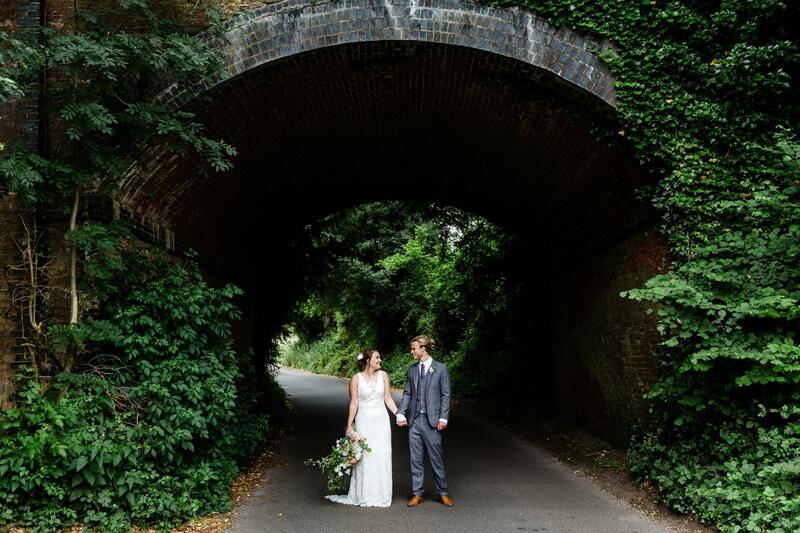 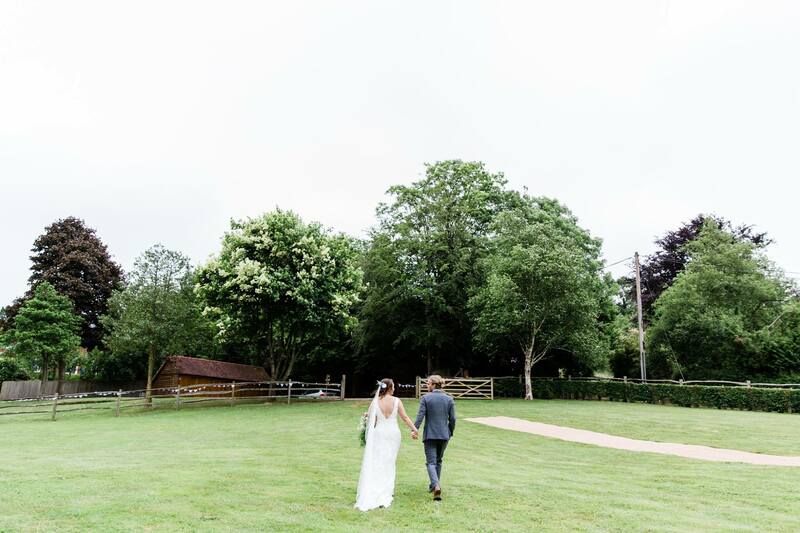 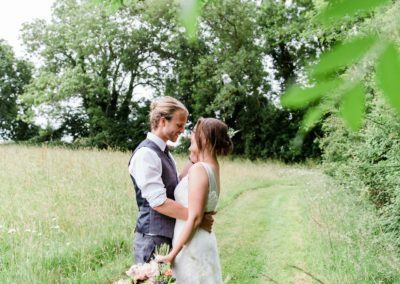 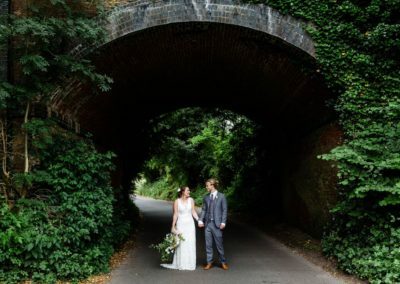 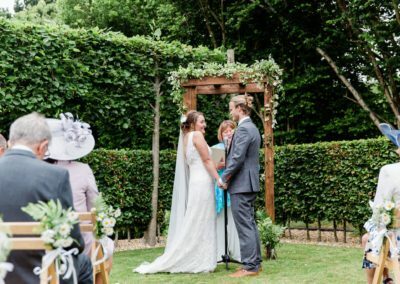 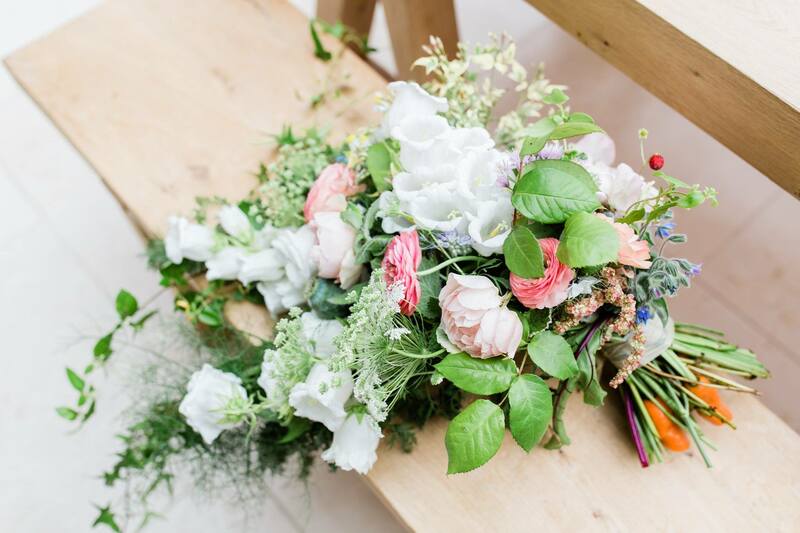 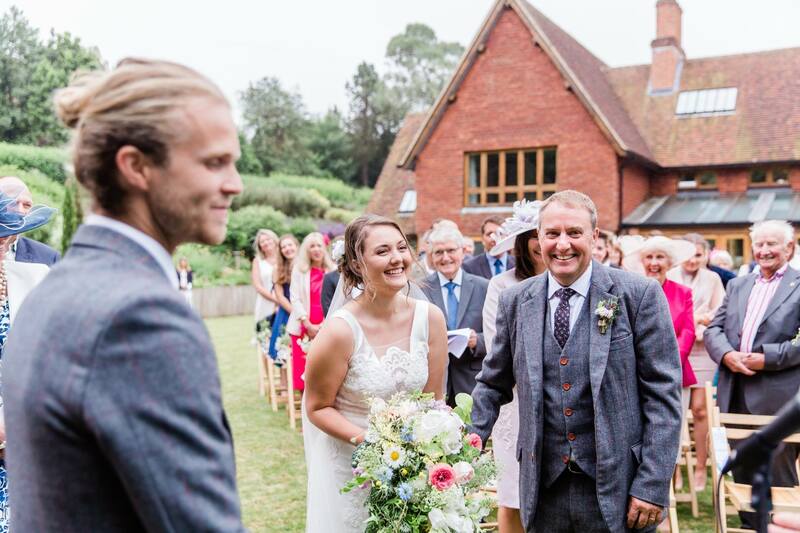 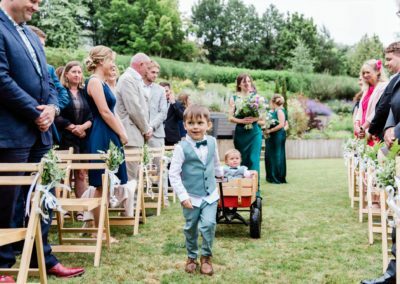 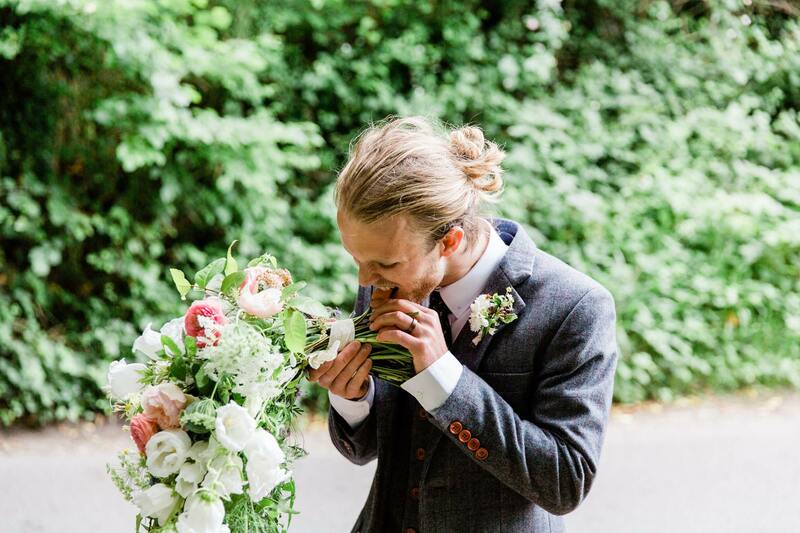 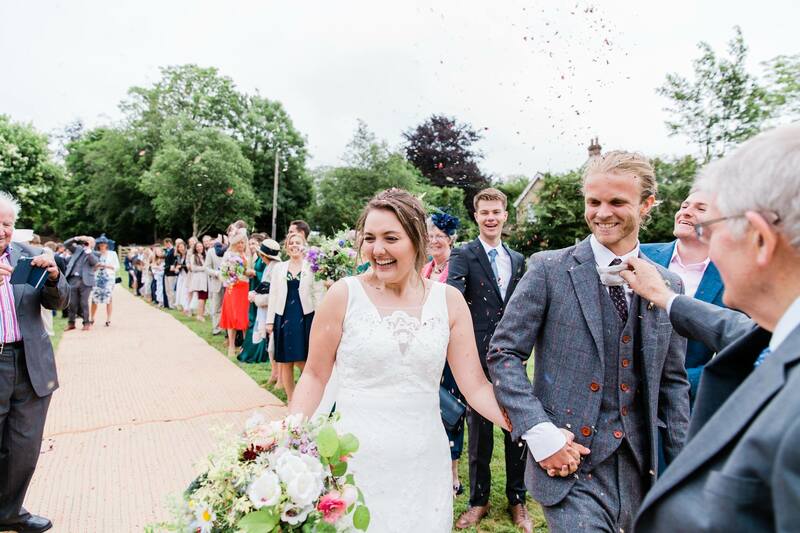 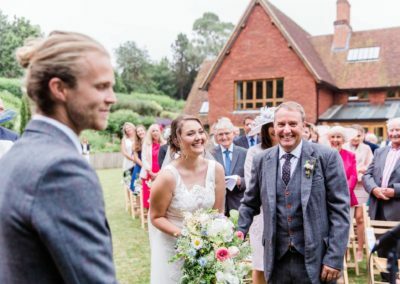 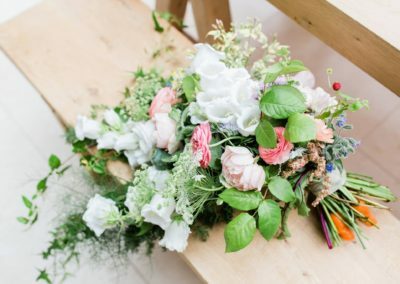 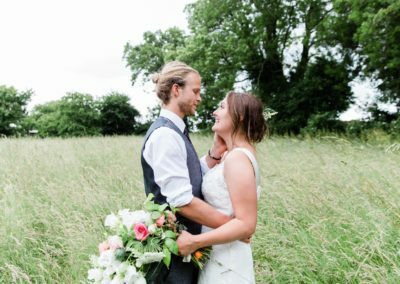 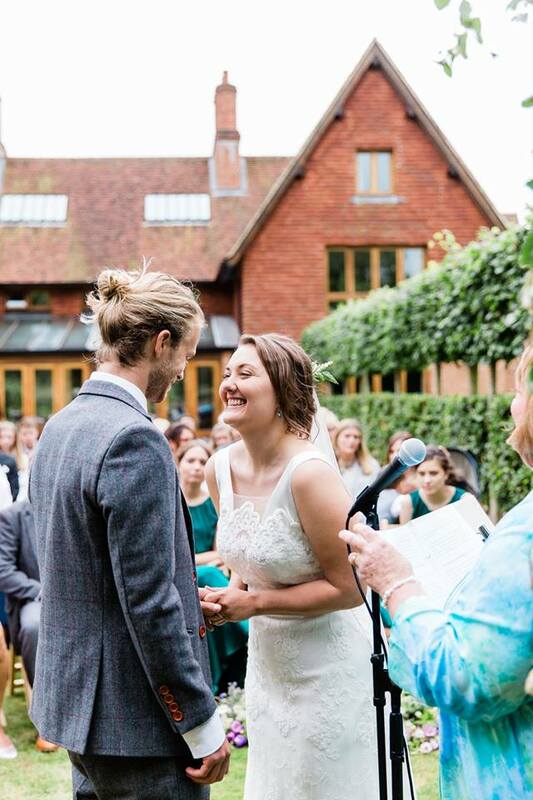 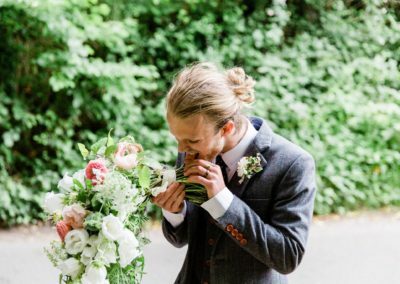 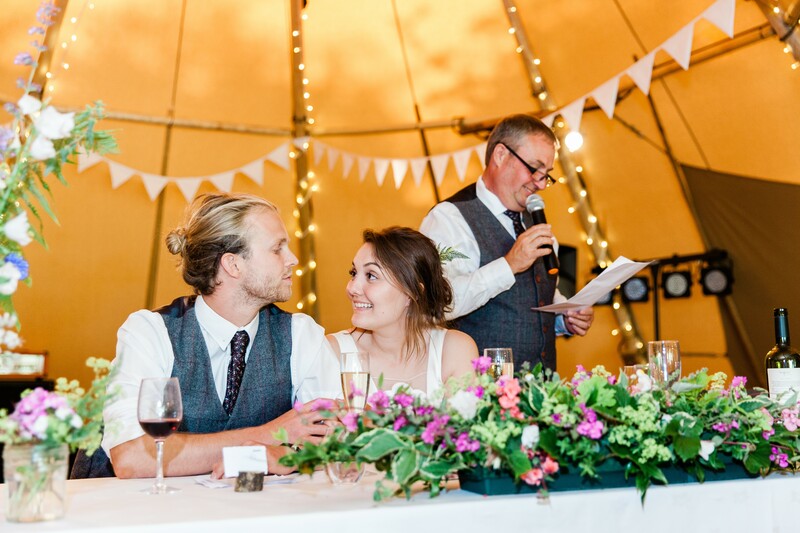 Having already performed the official ceremony the day before at the registry office, Emma and Zac opted for a personal ceremony in the garden at home. 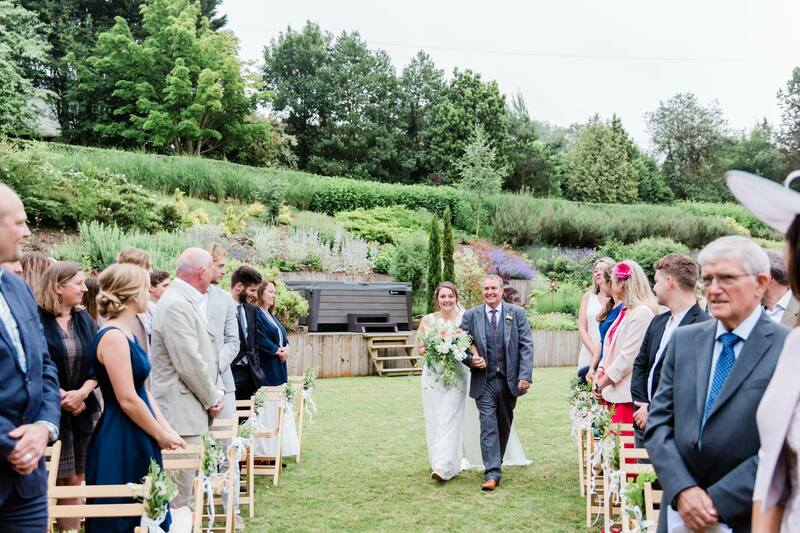 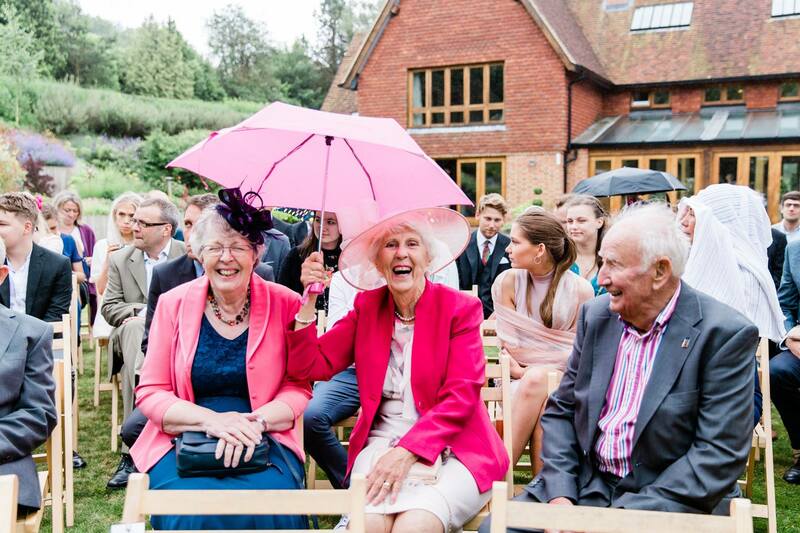 Despite a summer shower, it was a beautiful ceremony and clear for everyone to see just how in love this couple are. 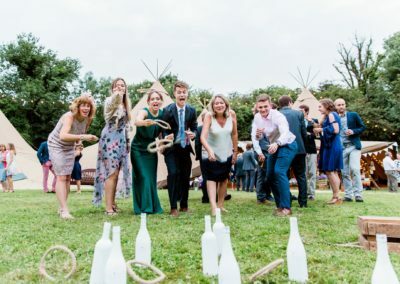 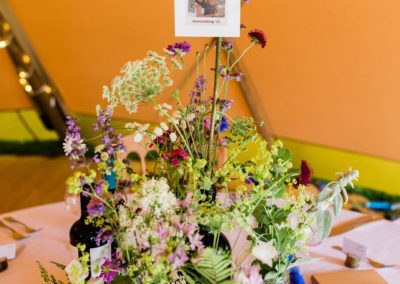 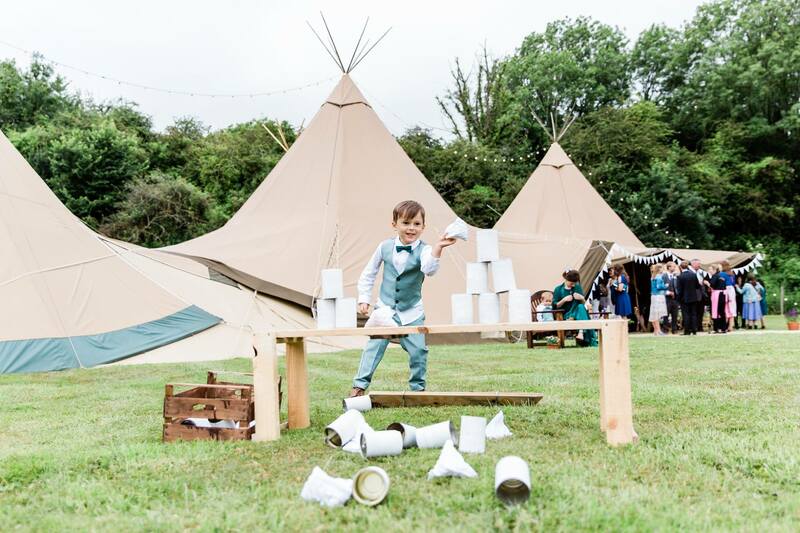 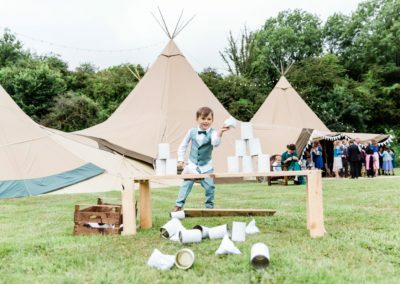 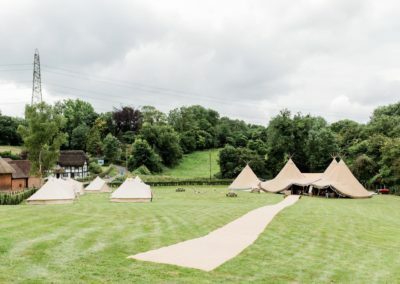 Rain didn’t stop play and the guests enjoyed lawn games before settling down in the Tipi for a three course feast and some very amusing, and heartfelt speeches. 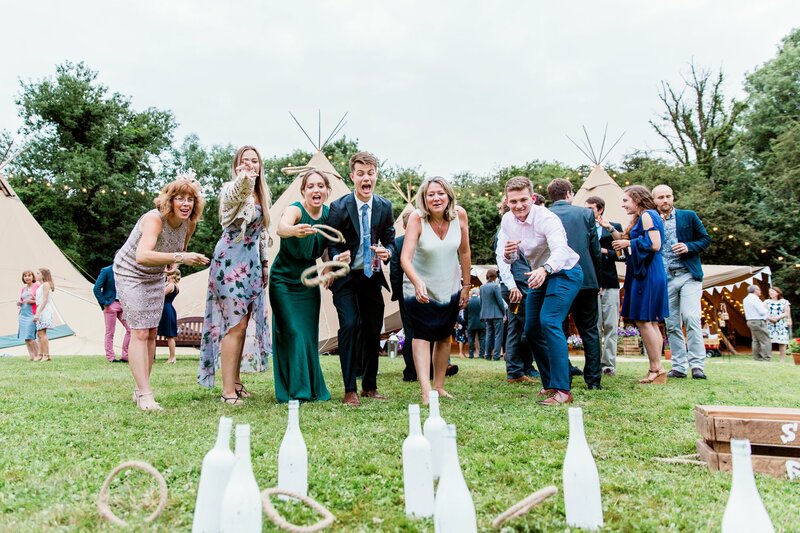 Dancing saw the dancefloor filled, unless the guests were enjoying marshmallows and s’mores at the fire pits. 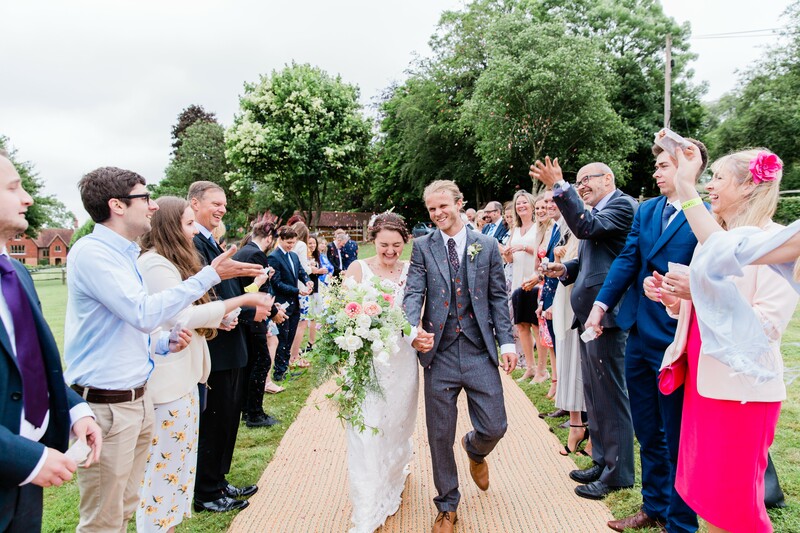 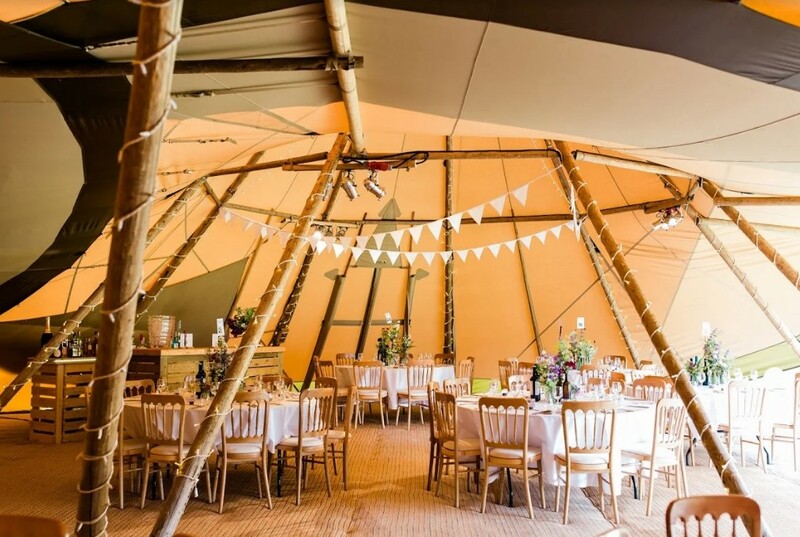 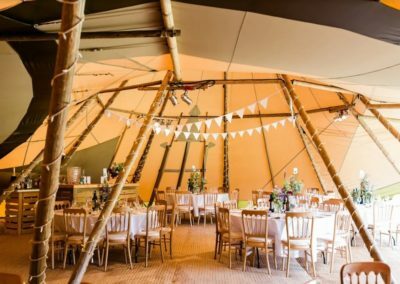 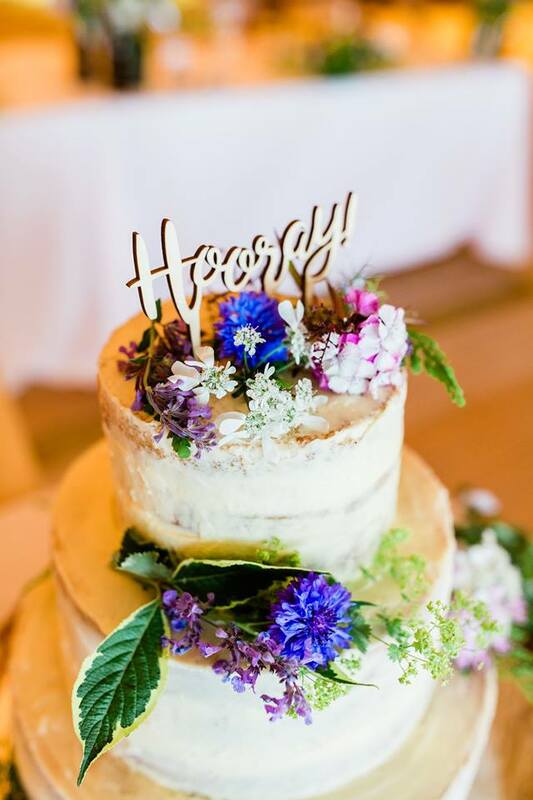 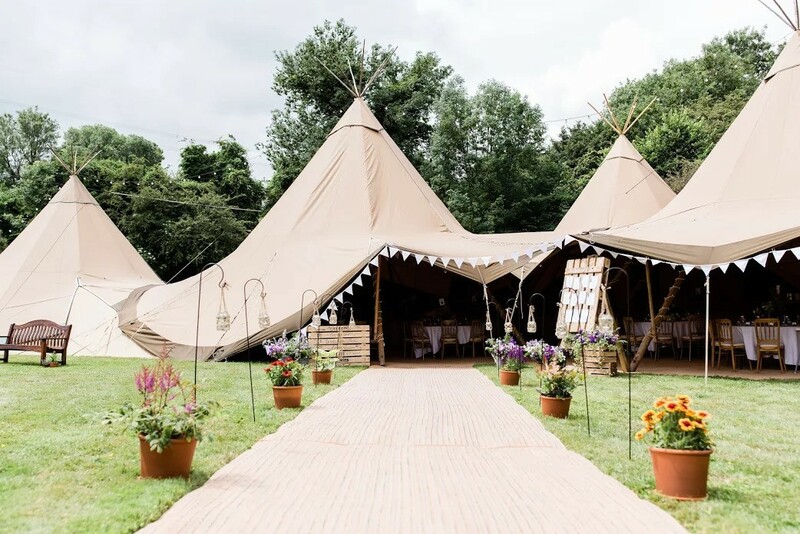 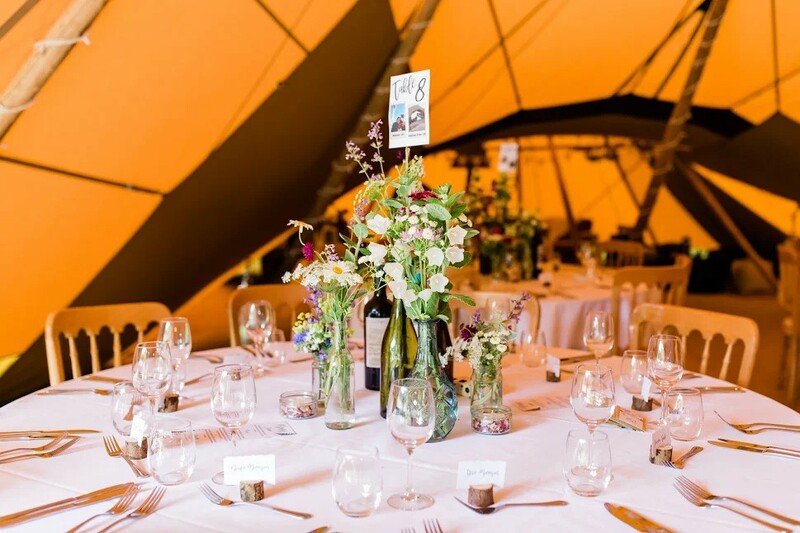 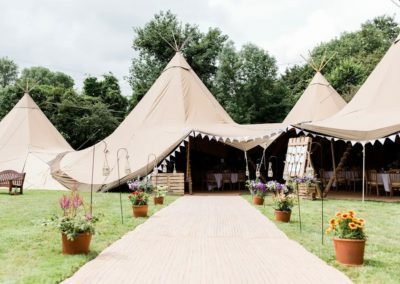 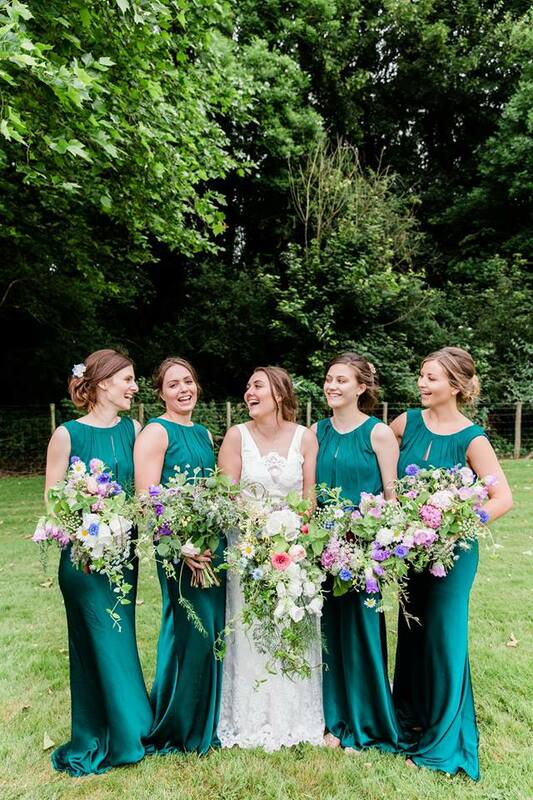 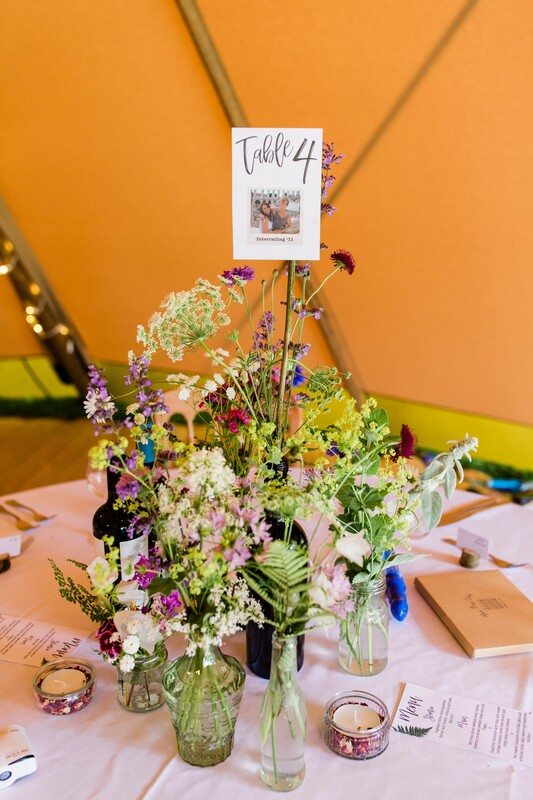 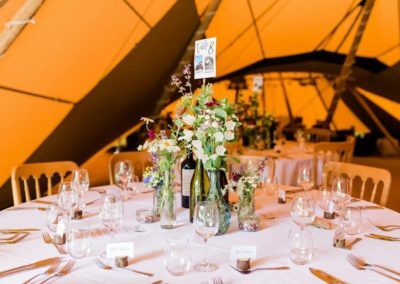 A glorious wedding that Wild Wedding Company was thrilled to have been a part of.